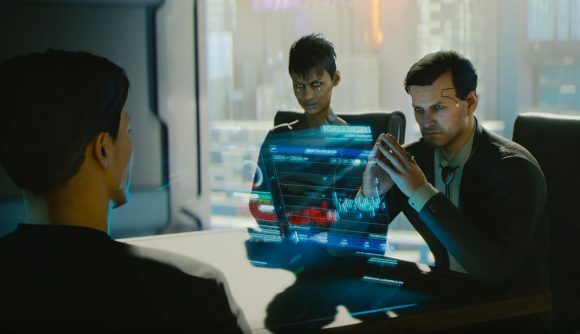 Yes, we’re all so desperate for Cyberpunk 2077 info that we’re grasping at the tiniest of straws these days – but come on, did you see that gameplay footage? We still haven’t had an official Cyberpunk 2077 release date, but developer CD Projekt Red has given us a bit of hope that we might not have to wait much longer before we learn when the game’s coming out. The developer has big plans for E3 this year – Kiciński says it’ll be “the most important one ever for us” and that “we have really prepared a strong show,” though that kind of hype is likely to be expected. However, you shouldn’t expect any performances from Lady Gaga there, or any other pop stars, for that matter. Musical performances won’t be among the surprises at the show. You can see the translated results in full above. The comments about E3 reveals come in at the 47:30 mark. CD Projekt has another new RPG on the way sometime before 2021, and it’s possible that one of these E3 surprises could be a reveal for that title. E3 officially kicks off on June 11, but we’ll likely get some hint of CD Projekt’s plans at the press conferences in the days ahead of the show proper.